Certified Hypnotist Expert Linda Allred recently hit six Amazon.com best-seller lists with the new book, “Answering the Call,” including #1 in two categories. 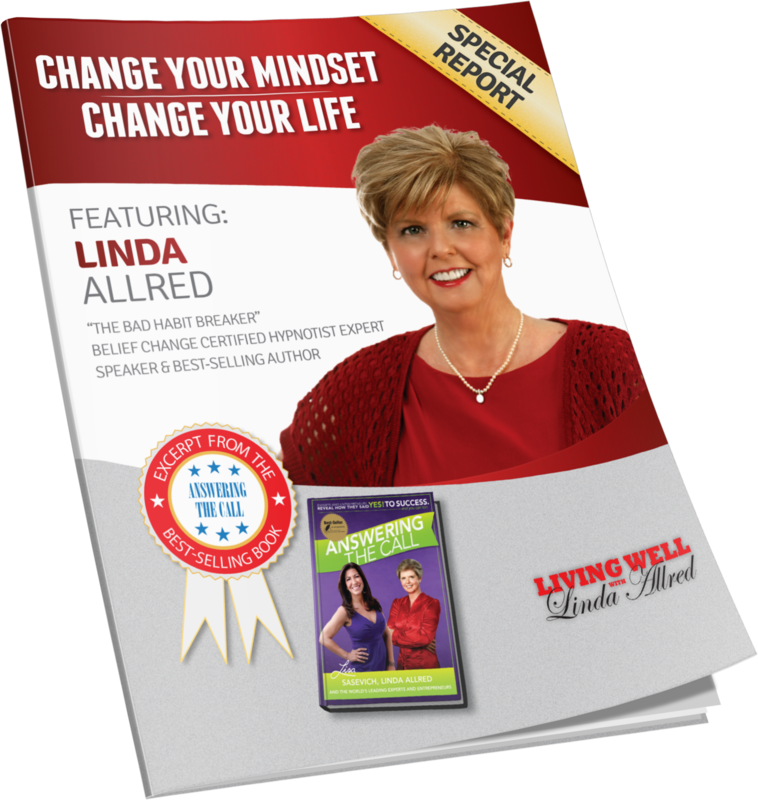 Baton Rouge, LA – July 31, 2014 – Linda Allred, Creator of Weight Off NOW! Get Healthy – Get Happy Self-Hypnosis Home Study System™, recently joined Lisa Sasevich, “The Queen of Sales Conversion,” along with other leading experts from around the world to co-write the book titled, Answering The Call: Entrepreneurs and Professionals Reveal How They Said Yes to Success and You Can Too! The book was released on July 24, 2014 by CelebrityPress™ – a leading business book publisher. After such a successful release, Linda Allred will be recognized by The National Academy of Best-Selling Authors™, an organization that honors authors from many of the leading independent best-seller lists. Click HERE to order a copy of Answering The Call.